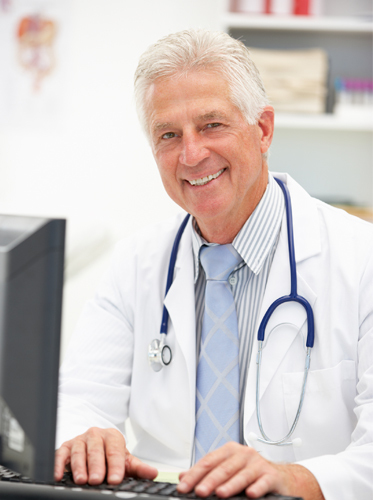 Prodigy Information Technology is a leader at the forefront of Medical Practice IT management. Prodigy takes the work and worry out of supporting the technology needs of medical practices. Whether your EMR/EHR is served from your office or cloud based, Prodigy offers hassle free, comprehensive IT support solutions that will save you money and reduce your technology TCO. In medical practices, staff members often wear multiple hats. With Prodigy as your technology partner we’ll wear the IT hat. Prodigy is your IT team member who works with you, your staff, your EMR/EHR and any other technology vendors. We not only solve we resolve your IT problems EVERY DAY! With our experienced and knowledgeable staff we can implement long term, problem free solutions that make your medical practice run smoother and help you provide better patient care . Prodigy is your resident expert in Medical IT. Prodigy began as a vision by it’s founders to make medical IT easier, more efficient, and more cost effective for medical practices. It’s why we exist. Our technical expertise with EMR/EHR and Radiological imaging makes ProdigyIT the intelligent choice when picking a technology partner. We will help your staff utilize your office technology more efficiently and effectively. Want to have peace of mind and save money on IT?